Finally we are going to see the dancing queen shaking her legs yet again! Malaika Arora Khan is known for her charm and her dancing skills. Malaika’s iconic dance number ‘Chhaiya Chhaiya’ from ‘Dil Se’ is still considered one of the fun ventures in Bollywood. Thereafter there have been many dance number by the one and only, and we never complained. Here she comes again to entertain us with a dance number in Vishal Bhardwaj’s ‘Patakha’. Remember ‘Namak Isk Ka’ or ‘Beedi Jalaile’ from ‘Omkara’? Keeping the movie and its ethnicity in sight, we think a song like ‘Namak Isk Ka’ will really suit that kind of number. For a long a time the audience haven’t heard such local and authentic song. An agency report confirmed that Malaika will be grooving to the song 'Hello Hello' in the movie. The song is sung by Rekha Bhardwaj and lyrics penned by Gulzar, this is going to be yet another number that we will continue humming and dancing on for years to come. "So when we came up with this track for Patakha, she was the first one we thought of casting. When I approached her for the song, she was very excited and immediately agreed. We are happy to have her on board and this song is tailor-made for her." Based on Charan Singh Pathik’s short story Do Behnein, Vishal have scripted down this comedy-drama, ‘Patakha’. The movie features Sanya Malhotra, Radhika Madan, Vijay Raaz and Sunil Grover in pivotal parts. 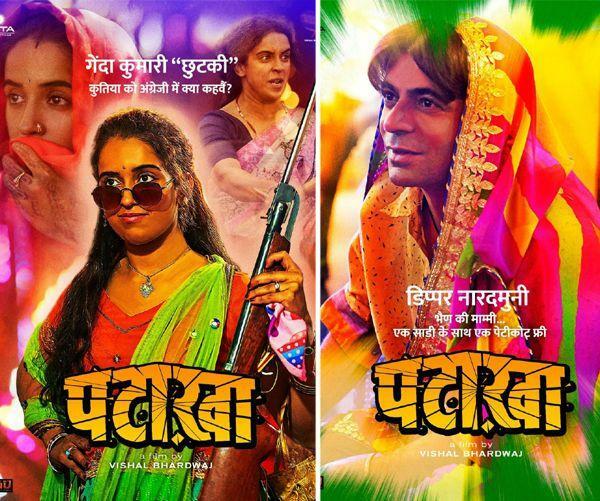 ‘Patakha’ is directed by Vishal Bhardwaj and we can see his versatility once again with desiness written all over it. The song will shot this week and it will be choreographed by none other than, Ganesh Acharya. Ajay Kapoor, rightfully said it is going to be one of the "special songs". We can’t agree!